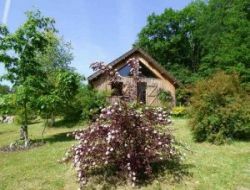 Located in Haute Vienne, in the Monts d'Ambazac, the cottage is part of a park of 3000m² where unusual objects alongside sculptures and plantings that bloom throughout the years. Group gite in yurt, for 13 people + 2 babies spread over 2 yurts (8 + 5). On request organization of treasure hunts for all ages, breakfast (morning, noon and evening). Trampoline, bikes, nature activities, hiking, trampoline, barbecue, campfire. Quiet site. 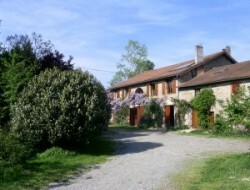 Unusual holidays in the south of Haute-Vienne, between St Yrieix la Perche and Coussac-Bonneval .... Domaine de l'Angelaud is a holiday resort focused on organic culture and well-being. 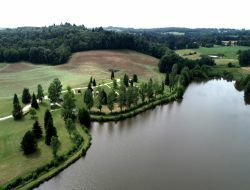 In the heart of a pond of 8 ha, orchards and organic vegetable gardens, go to discover an atypical region of France. Enjoy even more by staying in trailers! An ideal place to relax and go on an adventure!